Skin care. Skin care. Skin care. It's definitely one of the most important topics that I talk about, and not for vanity reasons. But good skin care is about the cleansing, massaging and moisturizing of your body's largest organ. And the harsh, cold winter temperatures can dry out your skin leaving it cracked and brittle. For me, winter weather also makes my skin itchier, which is never any fun. 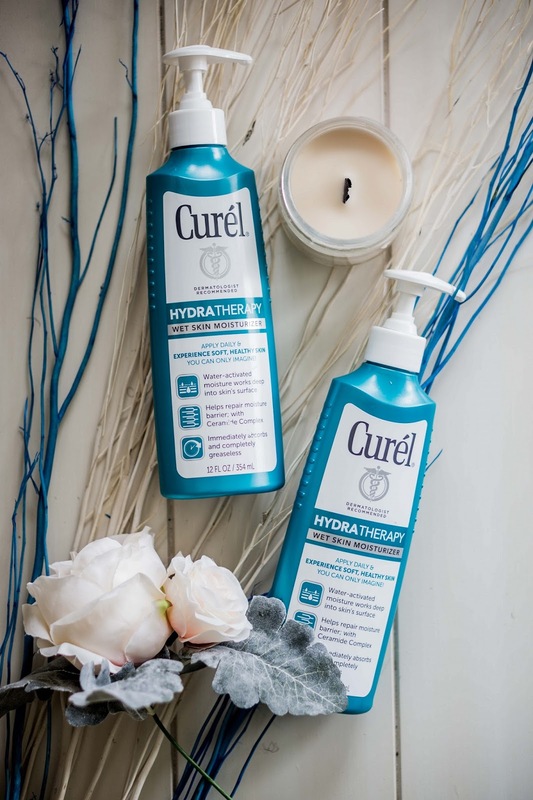 So now that we've entered spring, I think it's time to tell you one great way to transition your skin from winter to spring, all with the help of Curél® HYDRA THERAPY WET SKIN MOISTURIZER. Monday was the spring equinox, but not every place is experiencing spring weather just yet. Or maybe you're dealing with the back-and-forth weather like I am here in California. Last week it was nice and warm and this week it's been total sweater weather. So I'm still dealing with transitioning my winter to spring skin care. This is where Curél® comes in. Since I already have eczema, dry winter skin is 10 times drier for me. And I know that long, hot showers don't help, but I still need a warm shower since it's still cold out every now and then. 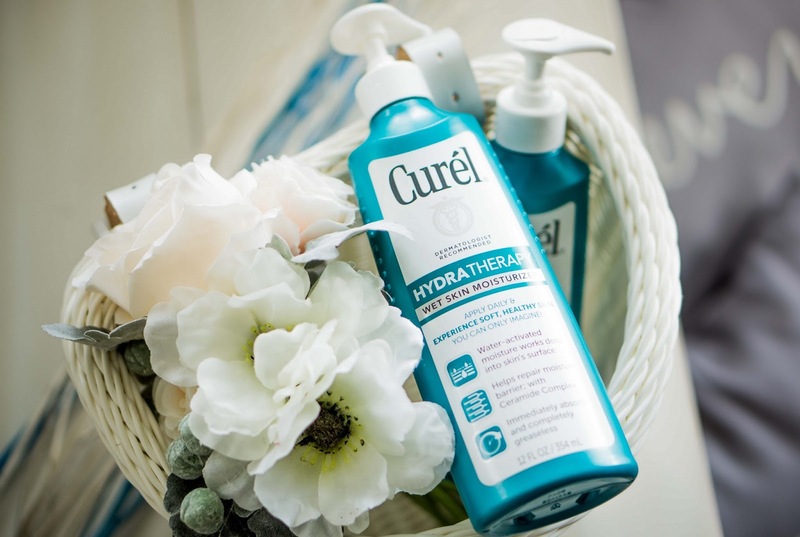 But now I can use the Curél® HYDRA THERAPY WET SKIN MOISTURIZER right after every shower. The moisturizer is activated by water on freshly showered skin and penetrates deeply into the skin's surface to heal dryness. That leaves skin softer and healthier. Because my skin is dry, it actually feels worse after a shower since water alone dries it out even more. That's why I have to add a moisturizer afterward. Plus, it really is the best time to get the best benefits from a moisturizer. Your pores open up after a shower so that moisture can be absorbed immediately. One of the main reasons why the Curél® HYDRA THERAPY WET SKIN MOISTURIZER is so good at curing dry winter skin is its Advanced Ceramide Complex. Ceramides are naturally present in healthy skin and are vital building blocks to maintaining skin's moisture barrier. But you lose ceramides during winter weather when skin gets dry and damaged. The Advanced Ceramide Complex in Curél® replenishes ceramide levels and repairs the moisture barrier. Wet skin moisturizers are a new way to moisturize and can even be better than traditional lotion. The first ingredient in a wet skin moisturizer is water, but it also contains Shea butter and Eucalyptus leaf extract and is specifically designed for after-shower use. Even if you're not really a sufferer of dry skin, it's probably likely that parts of your skin tend to crack in the winter. 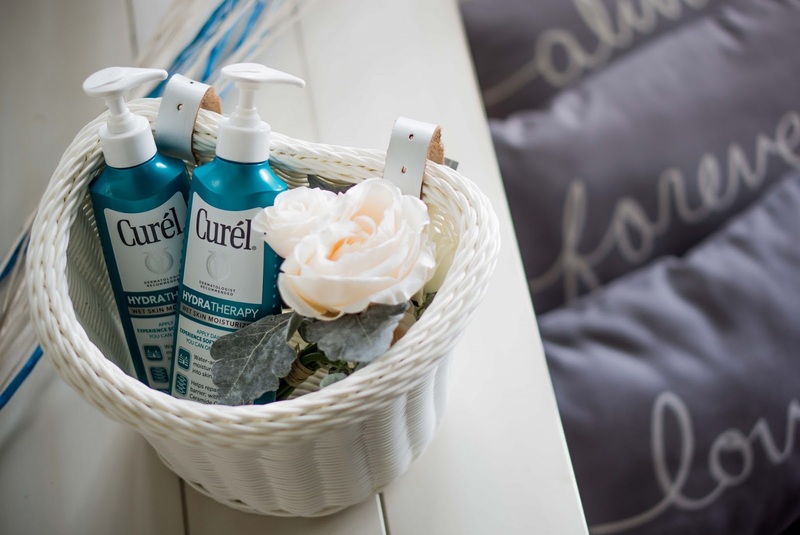 It's super easy to use Curél® Skincare to end dry skin on your hands after washing them or even on your feet before going to bed. And I'm sure we all have our go-to products when it comes to skin care from body washes to serums. But be sure to consider including the Curél® HYDRA THERAPY WET SKIN MOISTURIZER to your after-shower routine. Even if you don't typically suffer from dry skin, it's a great item to have while transitioning from winter to spring weather. I am a big fan of Wet Skin Moisturizers. I have not tried these before though. Will check them out. Love the photography here Cheryl! I've never tried a wet skin moisturizer before but it sounds amazing! I'll have to check this brand out! I've tried the brand but did not even know there was a wet skin moisturizer! I've been using Palmer's for years but this one is worth a try. Yep we're also dealing with some back-and-forth weather but I'm sure your's is much more pleasant since it doesn't involve snow. I've always heard that it was best to put moisturizer on slightly damp skin when you get out of the shower to lock in hydration and it sounds like these products take that to the next step. I've heard of this brand. I used to use it and it was great. I like the idea of using it right out of the shower. Sounds great! 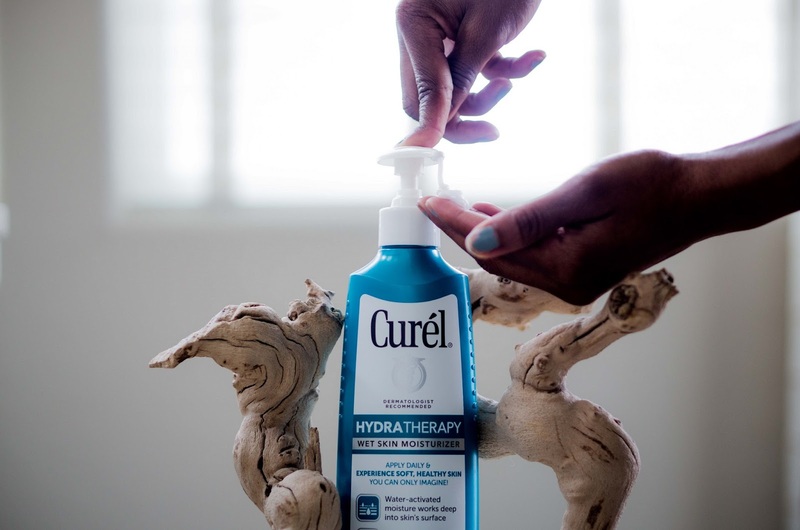 I'm digging these wet skin moisturizers- and I love the Curel packaging! Need to try this! On my list next time I'm at Target. Thanks Dear. Can you use this under makeup? Love products that really do what they say they will!